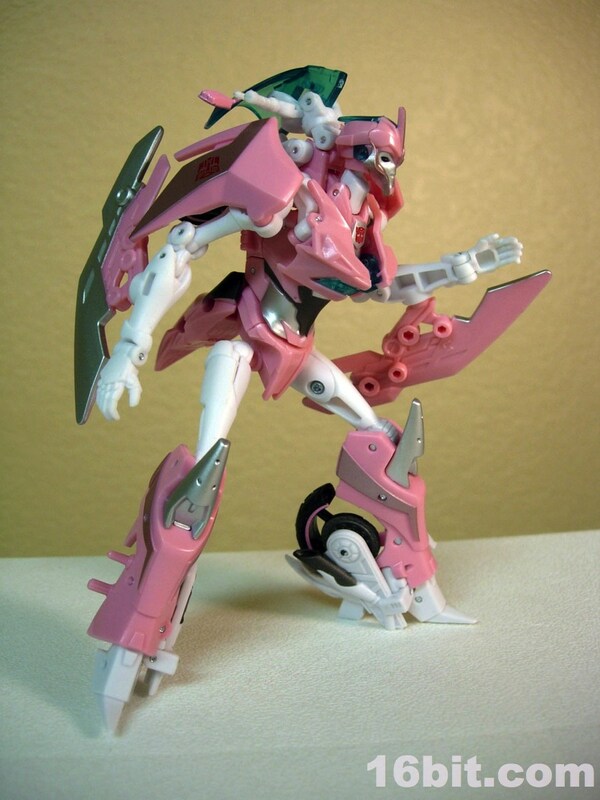 I don't know why, but Hasbro seems intent on delaying Transformers Prime at retail shelves-- at least they've been nice enough to trickle out a few prepaints of figures like Arcee so you can enjoy something before the line launches properly! 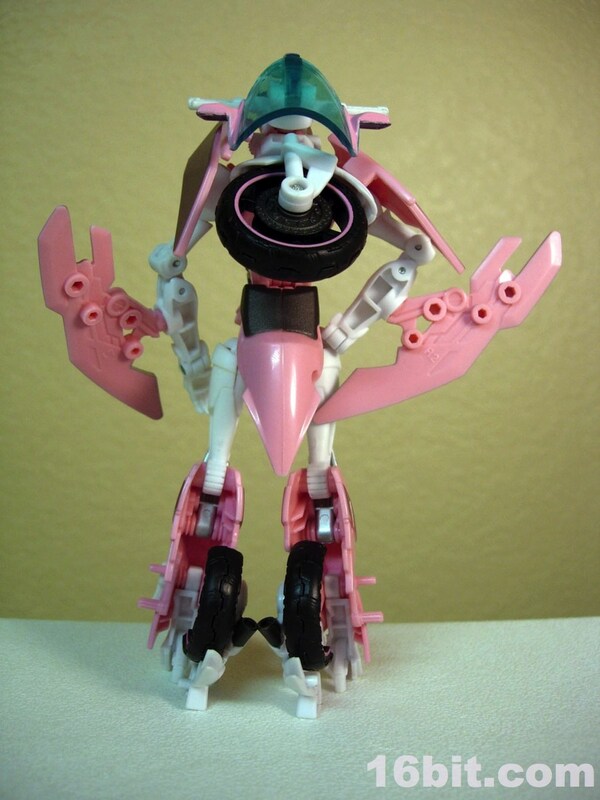 The pink Autobot is actually blue on the TV show, but pink-- girly pink-- scratches a G1 itch and will no doubt delight most of the adult fans who wished she were pink in the first place. The blue version just came out days ago, but this came out first and is therefore awesomer. The tall robot was packaged in a fairly compact vehicle mode inside a swell diorama package which vaguely resembles New York City, which is a really nice idea. 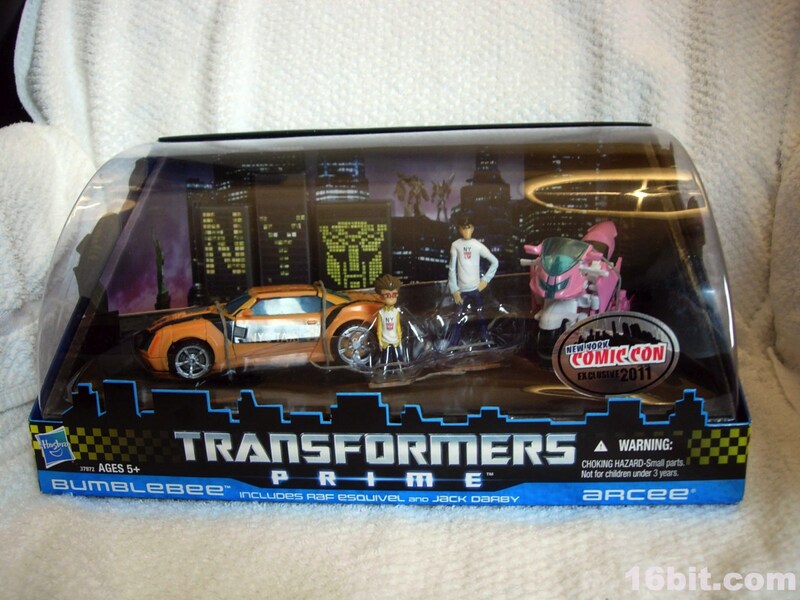 Most figures made as convention exclusives have little or nothing to do with the show, while this set is thematically tied to the event. 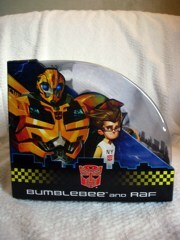 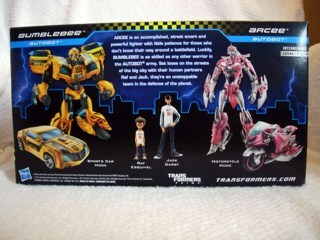 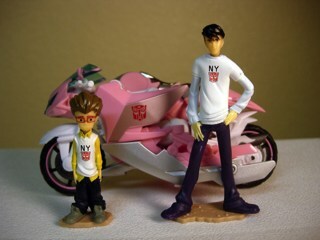 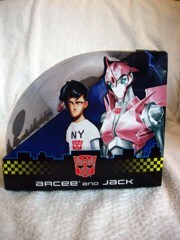 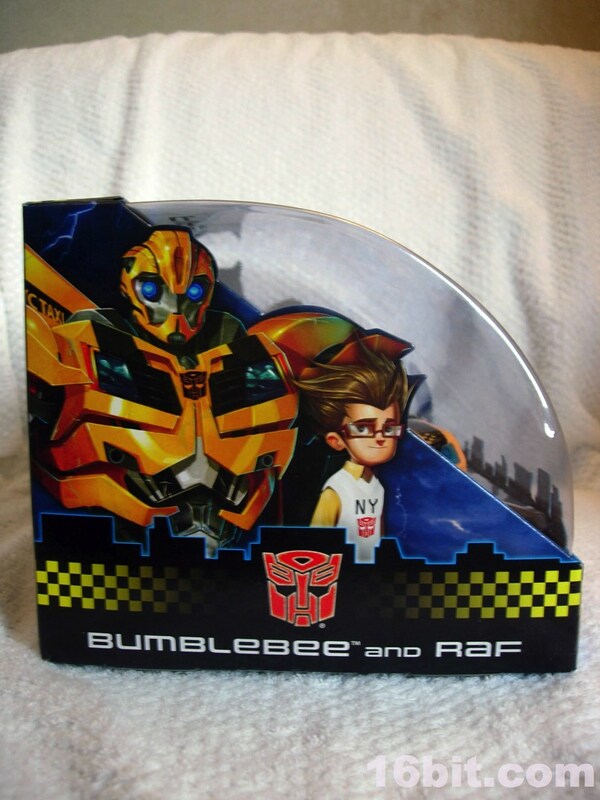 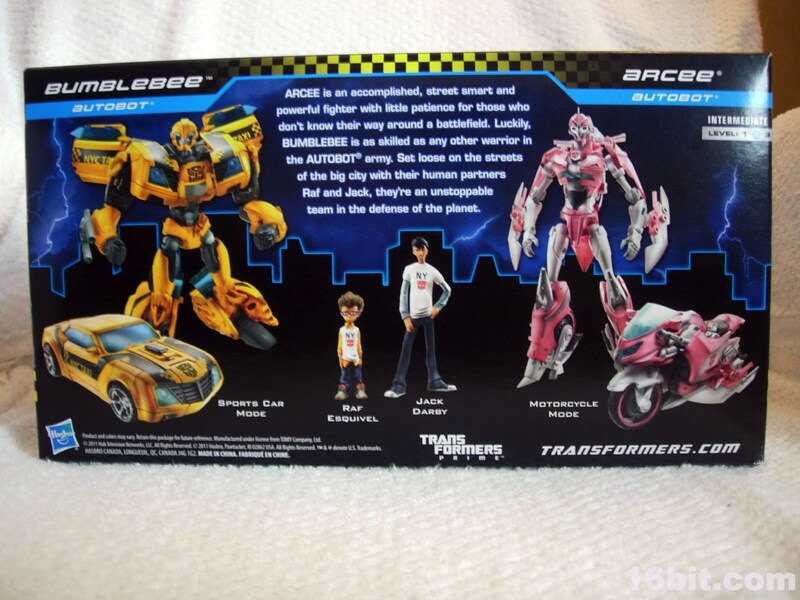 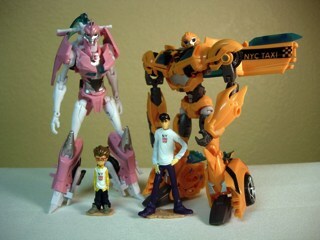 Granted, Arcee's design has nothing to do with New York but Bumblebee, Jak, and Raff all riff on things that tourists are likely to encounter in the Big Apple. 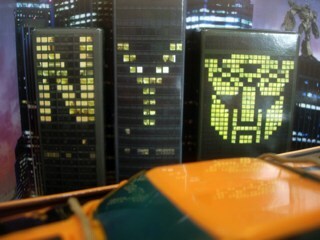 Namely, cabs and souvenir t-shirts. The transformation is amazingly clever, given most motorcycles tend to be somewhat awkward or unsurprising. Arcee's windshield separates into multiple pieces, hiding the head and folding down to form the character's robotic breast substitute. Hasbro usually glosses over most feminine features, but they exaggerate slightly in this department and add in some high-heeled robot boots to drive the point home. 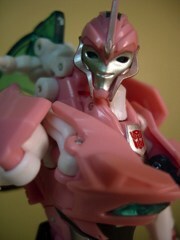 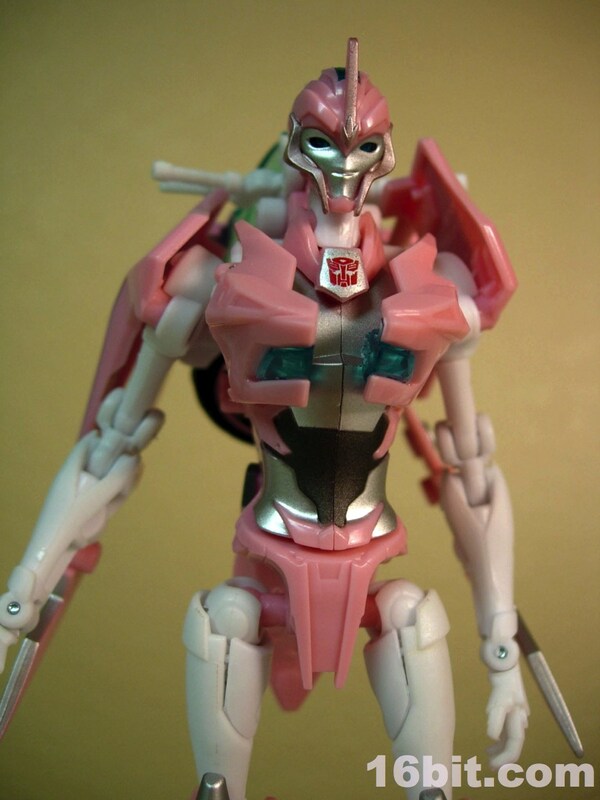 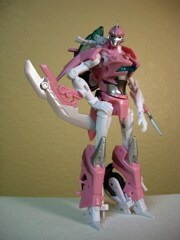 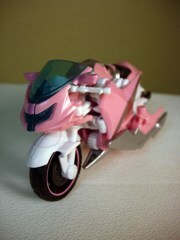 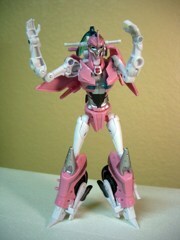 Like most robots in Prime, Arcee lacks a nose but has a warm smile and great big dark eyes. 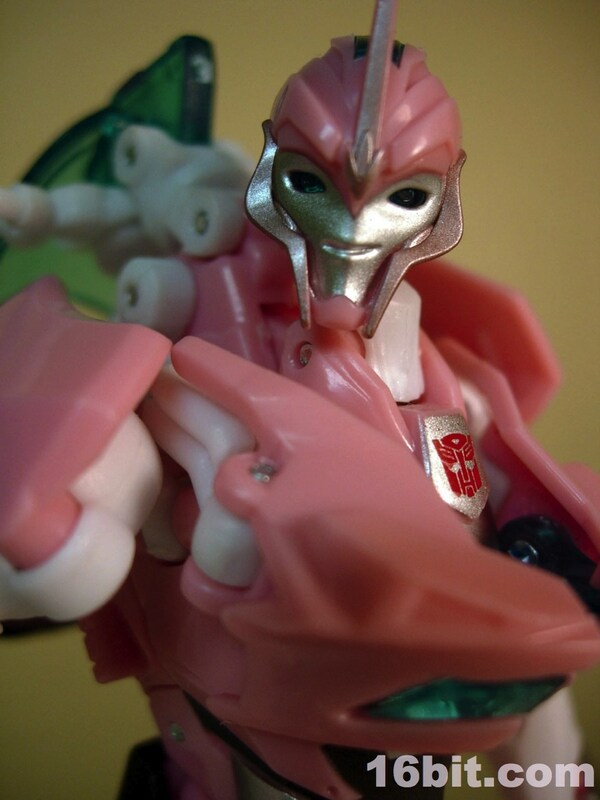 "Cute" usually doesn't work as an adjective for robots in this line, but she really does come off as a pleasant-looking cybernetic organism. 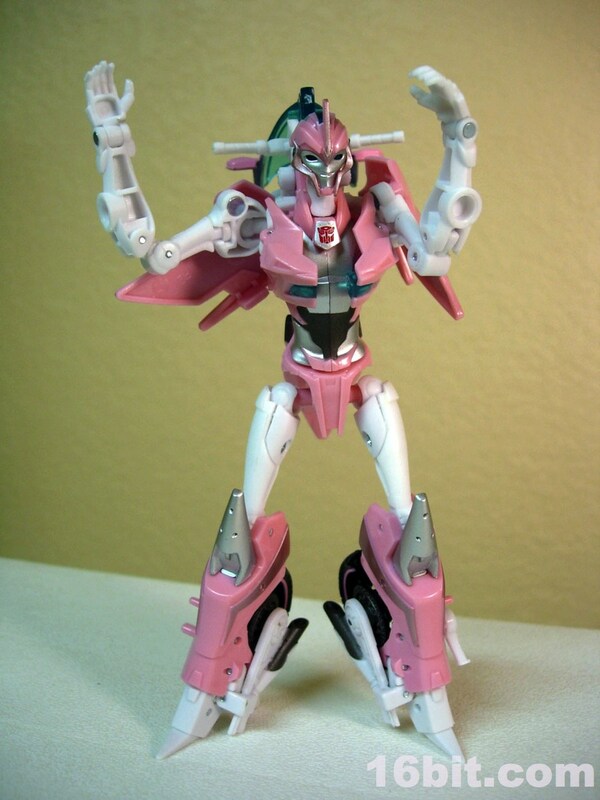 Articulation is superb-- her arms are loaded with joints so she can put her hands on her hips or gesture in any of a variety of ways. 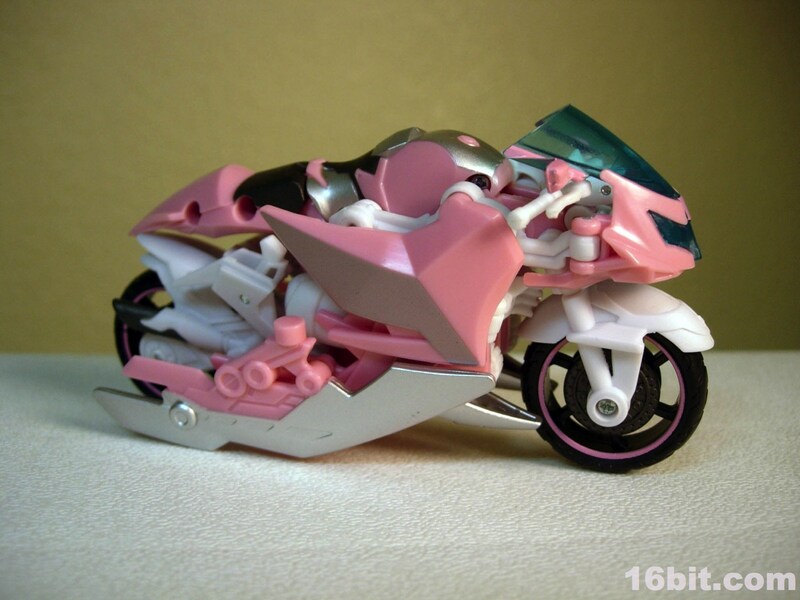 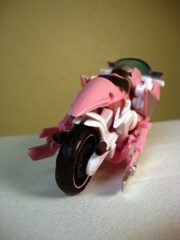 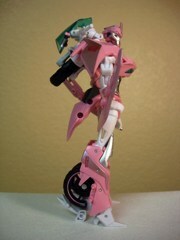 While her hands weren't necessarily sculpted for g.shtmling a weapon, there are ports under her arms which allow her to attach a pair of blade weapons which also easily connect to her motorcycle mode. Every toy is going to have some kibble, but the designers did a nice job making sure it turned in to something useful for the most part. 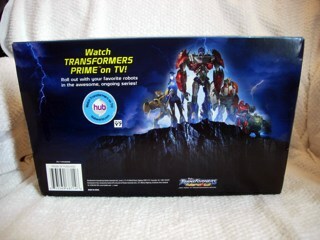 Transformation is fun and involved, instructions are probably going to make your life better here. 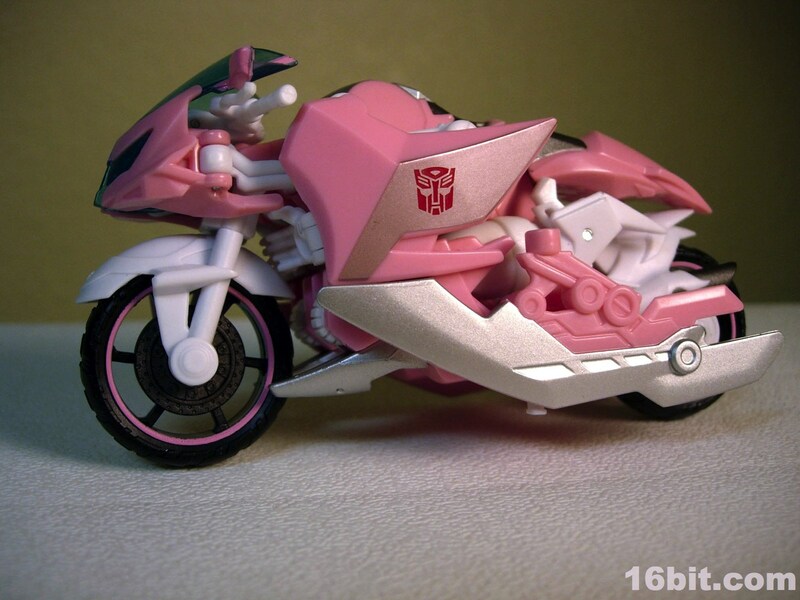 I wouldn't say no if Hasbro wanted to simplify her though, a lot of figures seem to be complex especially when they have loose parts. 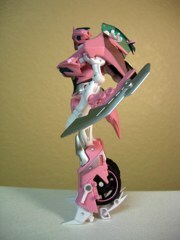 My Arcee's leg has a habit of falling off, for example, but it's not exactly loose. 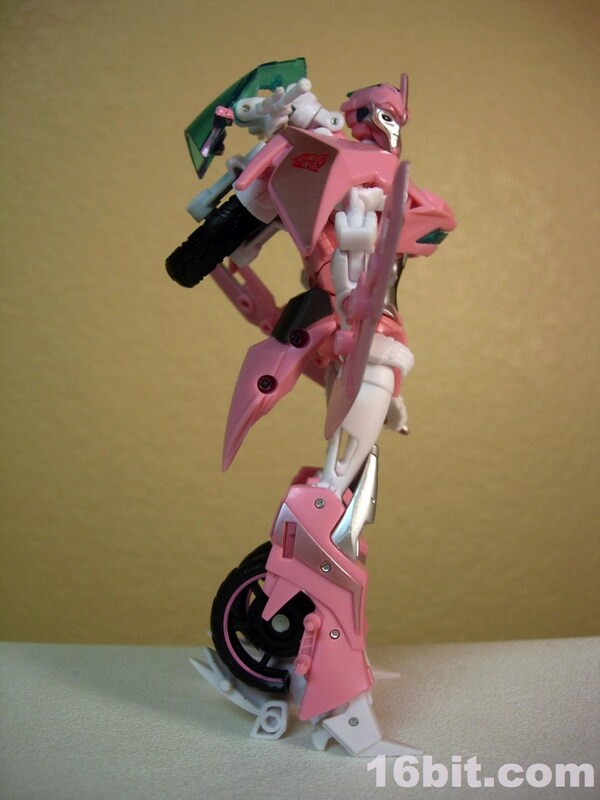 It just likes to pop off here and there. As I wasn't planning on collecting toys from this show, the fact that I now own it is something of a surprise. The transformation is fun and the toy is great, but it's clearly better for older kids (just like the TV show on which she is based.) 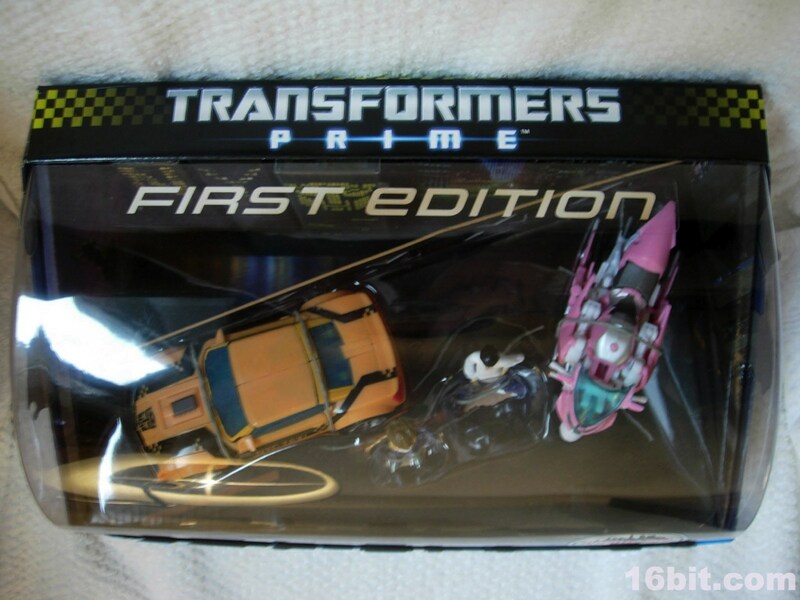 At $33 the set isn't bad, given the price of toys will likely increase and she'll probably be $13-$15 on her own anyway. Those wanting an authentic replica of the character on the show should just get the blue one, but as far as I'm concerned the pink one is more fun. 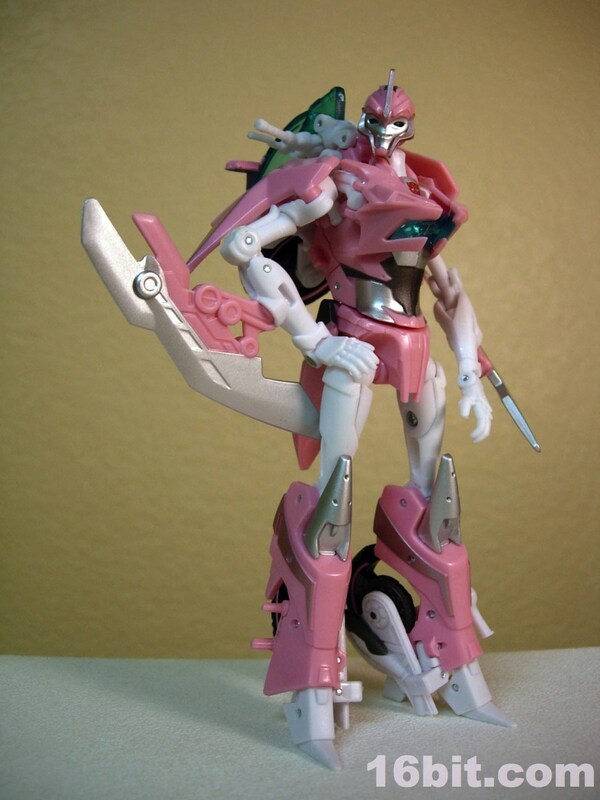 You can repurpose her as another character if you really want to, but you should buy it just to prove to Hasbro that adult collectors and fans will indeed pay for a bright pink toy in a boy's action toy line.